Cameron has praised Indonesia as a model of Muslim democracy, an alternative to the dead-end choice of dictatorship or extremism. Clearly he felt it to be time for the Islamic countries to reduce religious influence on policy making, in favour of a more contemporary approach, which can accommodate the interests and views of media moguls, corporate giants, and those willing to be major donors to party funds. The new cronyocracy, in fact, of which Britain is a shining example. 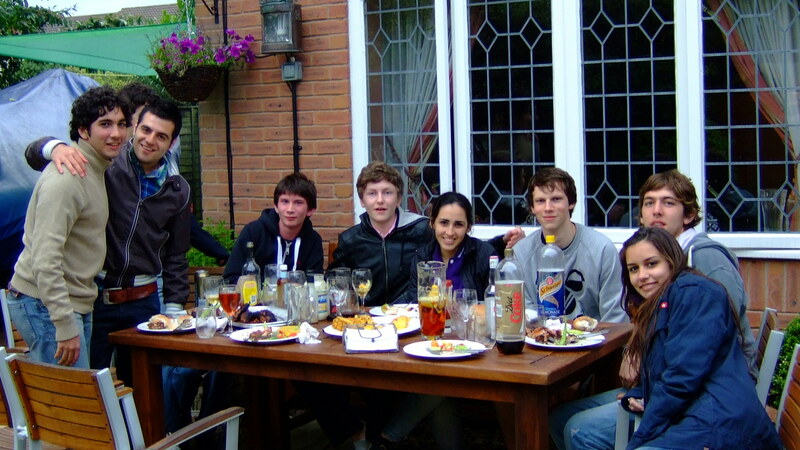 This is a barbecue we had last year for some exchange students from Corrientes, Argentina, and their English hosts. A generation ago, young people like these were killing each other.